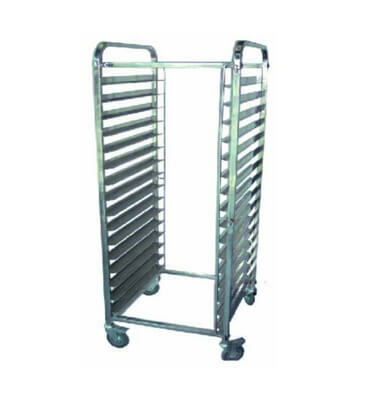 Bakery Tray Rack Manufacturers in India, Bakery Tray Rack Supplier in India, Bakery Tray Rack in India. We offer a high quality Bakery Tray Rack in India to our valuable customers. This product is exclusively designed for storing wide range of trays in India. This product is available in bulk with standardized packaging. This product is known for its sturdy construction and dimensional accuracy. Based on needs of our customers, this product can be customized. We assure effective, flawless and timely delivery of our products.